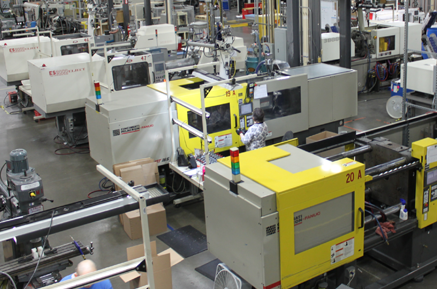 With deep roots in mold tooling, at Metro Mold & Design, we have the expertise and perspectives to efficiently design, build and deliver high-performing, custom, mold manufacturing solutions for a variety of applications. 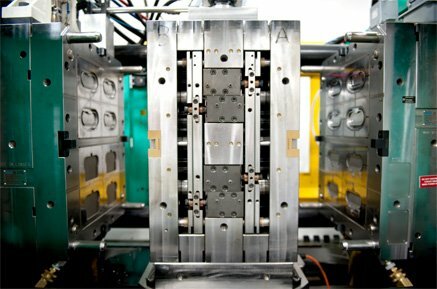 From single cavity molds for lower volumes to multi-cavity molds for high-volume parts, we are equipped and ready for any challenge. 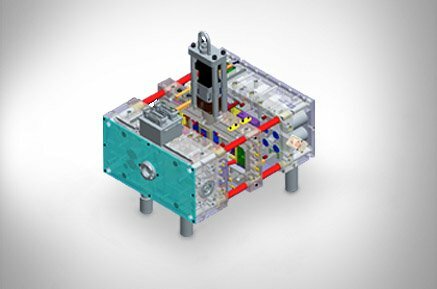 Depending on a customer’s needs, we can offer the greatest value with our mold manufacturing, taking into account lower upfront costs, minimal long-term maintenance and overall superior quality. This allows us to produce tools capable of supporting small volumes while gaining market acceptance. It saves from prematurely spending money on expensive tools or prototypes, gauging performance before making a huge investment. Bridge Tooling is an ideal solution for running simplified, lower cavitation programs during the flat part of the launch phase. Since we are willing to offer this to our clients, we provide it as an opportunity to simplify their supply chains while allowing them to commercialize their product quickly and affordably while gaining market acceptance. Once they are ready to go ahead with the real thing, we take out every ounce of cost and go full bore on tooling. With our deep roots in tooling, we have the expertise and perspectives to design and deliver. Staying sharp and current with these fundamental skills allows us to engineer more innovative solutions, continuously reinventing how we do molds. Understanding the essence of the technical perspectives enables us to approach our designs with unfettered creativity. Plus, using automated programs like MoldFlow® Analysis allows us to test our designs before going into production, giving us added flexibility when designing and engineering molds. Seamlessly integrating our in-house processes, we also work with outsource partners to maintain optimal quality and efficiency. Overseeing the entire process gives us the ability to manage the material selection and mold design, ensuring a successful run from start to finish. This allows us to speed things up and control schedules solely based on our own (and our clients’) sense of urgency and priorities. Our innovative processes enable us to deliver results with speed and efficiency.